What's New With Woven Wood Shades- Find Out Now! 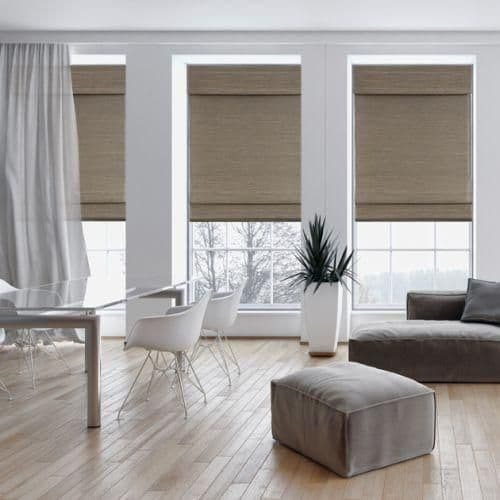 Home / Shades • Window Treatments • Woven Wood Shades / What’s New With Woven Wood Shades- Find Out Now! What’s New With Woven Wood Shades- Find Out Now! Just when you thought something couldn’t get any better, it does. All new, Designer Woven Wood Shades from Blinds.com have an unparalleled quality. Lately, woven wood shades have been extremely popular, you’ve probably seen them in every home decor magazine for the past few months. They’re easy to match and look stunning in nearly every design style. What’s so Special About These Woven Wood Shades? This are Designer Woven Wood Shades in Barcelona Moss. With 23 fabrics and eight edge colors, these shades can match any decor. These shades also come with an option for a liner if more light control or privacy is needed. Customers looking to make an investment in their window coverings will be please with these shades. Up to now, shades of this quality have only been available from interior designers or in showrooms. Previous Article Should I Choose Patterned or Solid Roman Shades?